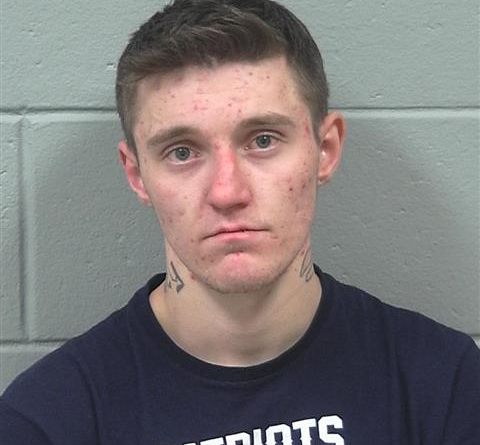 The hunt for an armed 22-year-old man who stole a marked Dexter police cruiser Friday morning ended Friday afternoon when the suspect got behind the wheel of another car and crashed, authorities said. As of 3 p.m. on Friday, Tyler Tibbetts was still pinned inside the car he crashed into a stand of trees while fleeing police at a high speed, and a LifeFlight helicopter was en route to the scene on Route 15 in Corinth, according to Maine Department of Public Safety spokesman Stephen McCausland. Tibbets is believed to have suffered serious injuries and will be flown to Eastern Maine Medical Center in Bangor, he said. The crash marked the end of an hours-long search for Tibbetts, who remained at large for several hours. Tibbetts allegedly stole a fully marked Ford Explorer with the number “3” on the front fender around 11:30 a.m. The cruiser was found around 1 p.m. abandoned off Parkman Road in Garland, police said. Around 2 p.m., police spotted Tibbets driving another vehicle, and then pursued him at high speeds through Dover until Tibbets crashed, McCausland told Maine Public. Tibbetts had been wearing handcuffs when he stole the cruiser, McCausland said. Schools in Dexter, Harmony and Athens went into a “soft lockdown” at noon, meaning all outdoor activities moved inside, while teachers and administrators stayed “on alert” near their students. The doors to all school buildings were locked except for a single entrance and exit, said Assistant Superintendent Pat O’Neill.